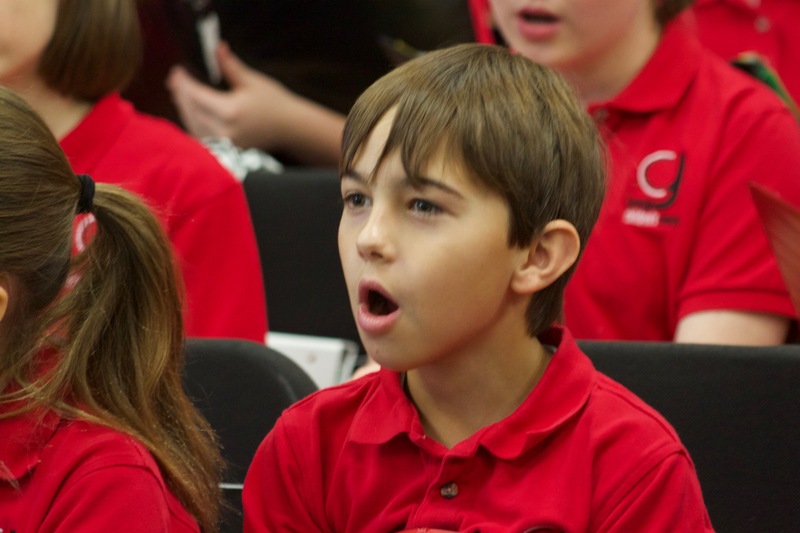 Celebrating 21 years in the 2018-2019 season, Georgia Children’s Chorus (GCC) is a 100-voice children’s chorus in-residence at the Hugh Hodgson School of Music at the University of Georgia. GCC singers ages 7-18 from the greater Athens area achieve high artistic standards in a nurturing atmosphere. They build teamwork, self-expression, and confidence — developing musically while having fun. In a city known for creating music and musicians, it is fitting that Athens has a children’s chorus as vibrant as GCC. 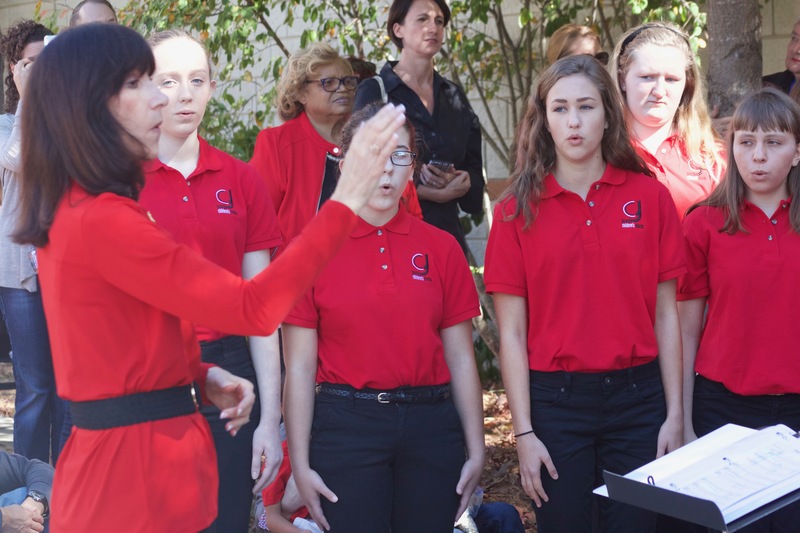 Typically, large children’s choir programs are located in major metropolitan areas, making GCC’s presence in Athens a valuable community asset. 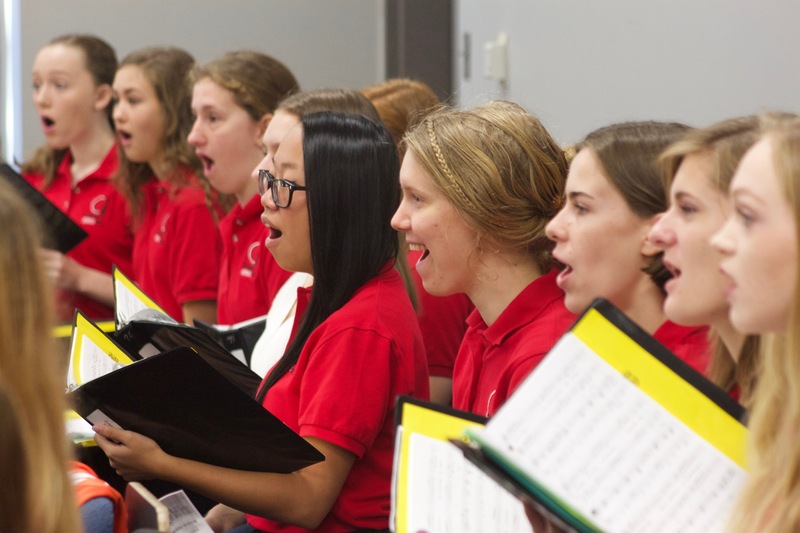 An auditioned choir, GCC holds two performances annually — a winter and spring concert — in the UGA Performing Arts Center on campus. The choir participates in various community and University of Georgia events in venues including the Georgia Museum of Art, the State Botanical Garden of Georgia, and others. Its relationship with UGA brings vibrance and energy to GCC. Singers rehearse in the School of Music, assisted by UGA music students. Performances are in the UGA Performing Arts Center. And in 2011, an ensemble from the choir was invited to be in the opera La Boheme, produced by UGA’s Department of Opera. In 2013, the Concert Choir participated in Bizet’s Carmen, and in the fall of 2014 members of GCC participated in Engelbert Humpnerdinck’s opera, Hansel and Gretel. GCC is actually four choirs in one, including: the Prelude Choir for younger children, the Intermezzo Choir for intermediate singers, the middle- and high-school-aged Concert Choir, and the Ensemble Choir with the most vocally mature high school singers. Choir tours give GCC singers the opportunity to travel and perform out of state. Singers from the Concert Choir traveled to Washington, D.C. in June 2015 to take part in the National Festival of the States: A Musical Celebration of Peace. In 2013 members of GCC joined with other children’s choirs across the country to perform at Avery Fischer Hall in Lincoln Center in New York City. In 2011, singers took part in the Queens City Music Festival in Cincinnati, Ohio, and in 2010, the Applachian Festival of Young Voices in Charleston, West Virginia. Founded in 1997, the choir is led by artistic director and conductor Carol Reeves, known for her expertise in musical training for the developing voice. Gifted pianist, Candace Stoffel serves as principal accompanist for the Chorus. Running things behind the scenes are Deena Barrett, Chorus Coordinator and Theresa Vencill, Operations Coordinator. Children from 11 counties surrounding the Athens, Georgia join GCC each year. Counties include: Barrow, Clarke, Forsyth, Greene, Gwinnett, Jackson, Madison, Morgan, Oconee, Oglethorpe, and Walton.